Bangkok United have completed the signing of winger Jakkapan Pornsai from Bangkok Glass. 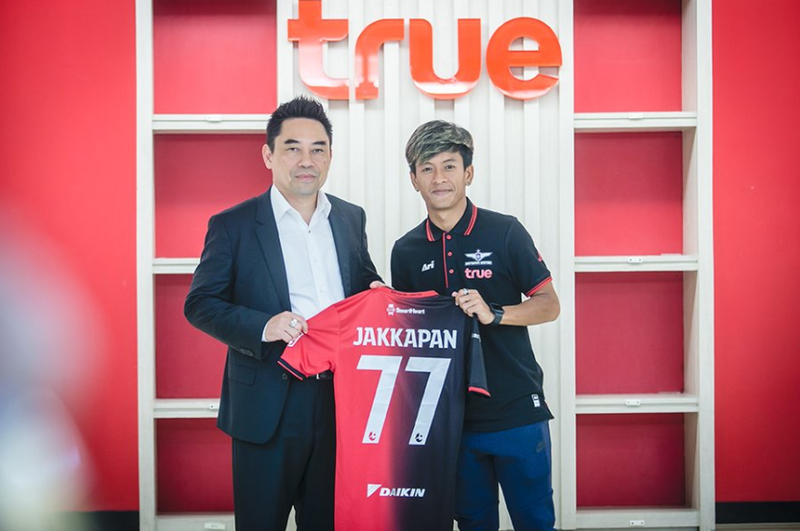 The Thai League T1 club announced the signing on Friday, revealing pictures of Jakkapan wearing a Bangkok United shirt with number 77 on their official website. Bangkok United hope that the 30-year-old could be a valuable addition to their squad for the second half of the 2017 Thai League T1 season. Jakkapan started his career in Police United and moved to powerhouse Muangthong United where he won Thai League title in 2012. After that, the attacker joined Suphanburi in 2014 for a 3-year contract and helped the team to secure the third place of 2015 Thai League, before joining Bangkok Glass in May 2016.